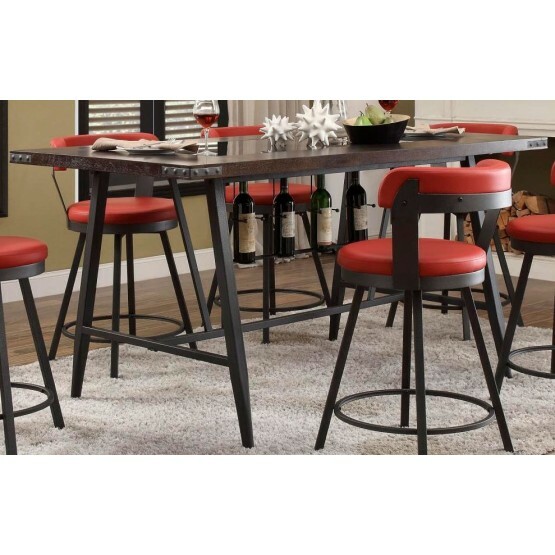 Perfectly styled for your casual dining room is the Appert Collection by Homelegance. 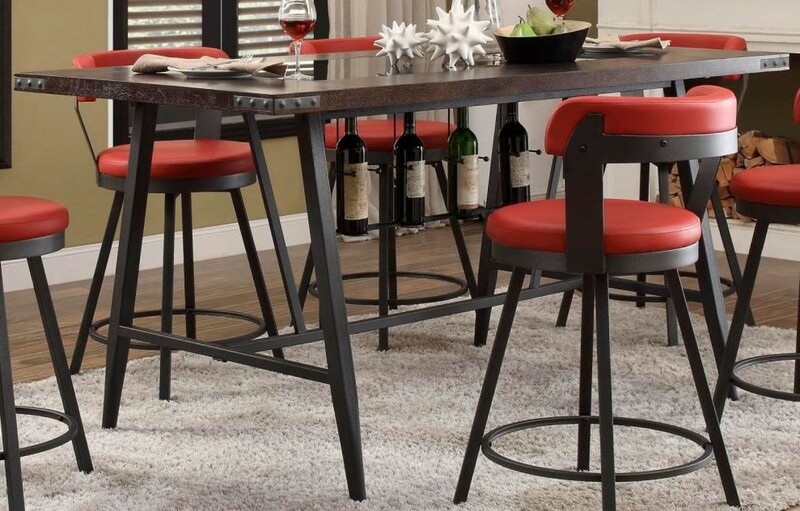 This counter height offering features a dark gray metal base - with built in wine rack - that serves to support the wood top which frames a black rectangular glass insert. W69" x D36" x H36"